The 2016 “Legends Of Pittsburgh” cruise disembarked from Miami on Thursday, charting a course through the Keys, then eventually to Cozumel, Mexico. The Legends cruise promises, among other things, that guests can, “Hang at the pool, take selfies, and get autographs with your favorite Pittsburgh athletes!” These athletes include James Harrison, Antonio Brown, Rocky Bleier, Manny Sanguillen, and Ken Wregget. The boat sold out all of its 2,056 spots. 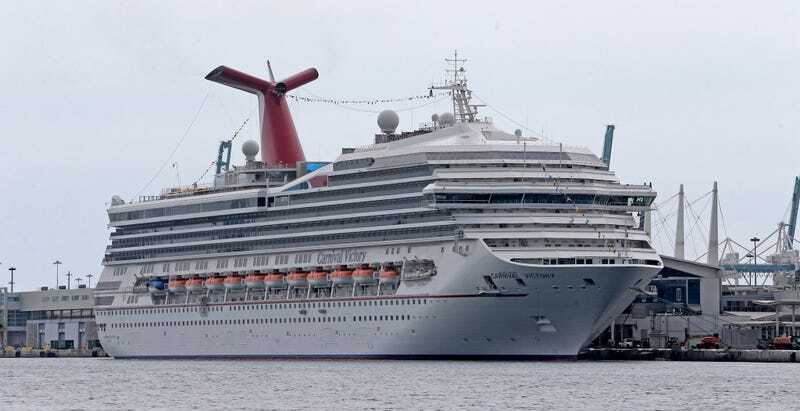 Early yesterday morning, while traversing the Gulf of Mexico about 50 miles north of Cuba, the boat encountered an unexpected vessel: a boat carrying 15 men and one woman, heading, presumably, from Cuba to Miami. James Harrison documented the scene. Here’s a more detailed shot. A similar situation happened two weeks ago, when a Cayman Islands-bound Disney cruise picked up a dozen passengers who were fleeing Cuba on an unseaworthy vessel.